As Christians reflect this Easter, we acknowledge that God loved us so much that He sent His Son, Jesus, to be crucified, buried, and raised on the third day - so that when we repent, we can receive God's forgiveness, be saved from the penalty of our sins and experience eternal life with Him! Disclosure: I am an affiliate with Amazon, Neiman Marcus, etc... When you click on links to these merchants on this site and make a purchase, this may result in this site earning a commission. Thank you! 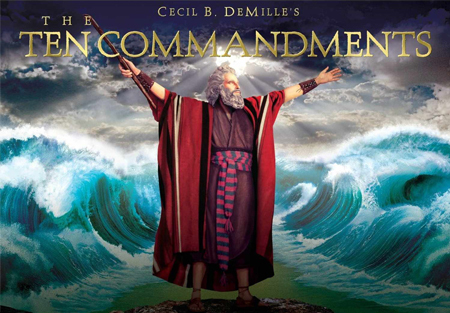 ABC will have their annual airing of the movie The Ten Commandments the Saturday evening before Easter, with Charlton Heston as Moses. I am in awe every time I watch it and see the water part as the children of Israel make their exodus from Egypt and cross the red sea. The movie begins at 7pm/6c. Please Note: Time is incorrect on Poster. It has been changed to 9pm/8c. 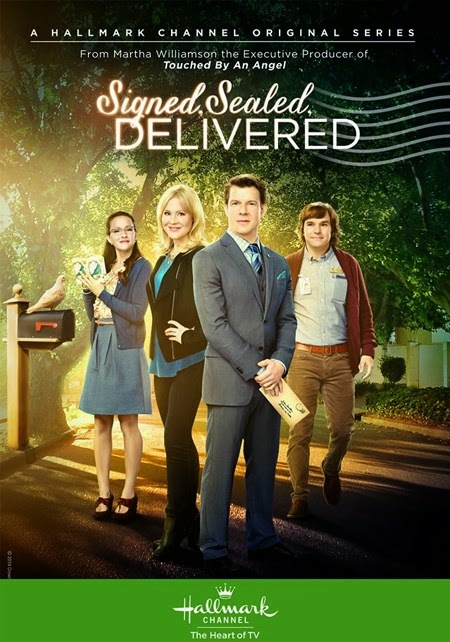 See the Premiere of "Easter Under Wraps"
Please Note: Premiere Time has been changed to 9pm/8c.! 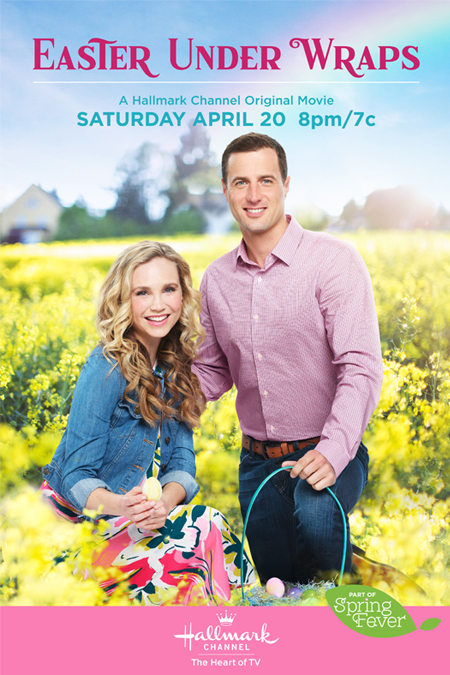 Encore Airing - Easter Sunday at 7pm/6c. 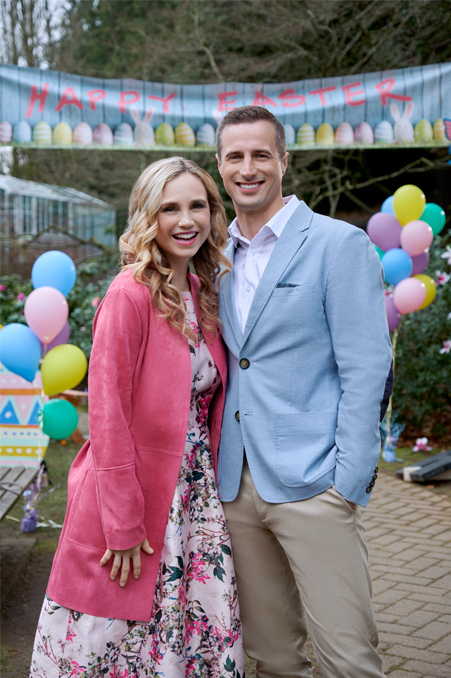 Following "Easter Under Wraps" on the Hallmark Channel, is a special "Countdown to Summer" Preview Special at 11pm/10c.! 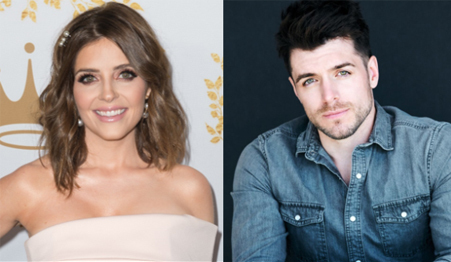 Join Jen Lilley ("Mingle All the Way") and Chris McNally ("A Winter Princess") as they go behind the scenes of four brand new Hallmark Channel original movies premiering during Countdown to Summer! 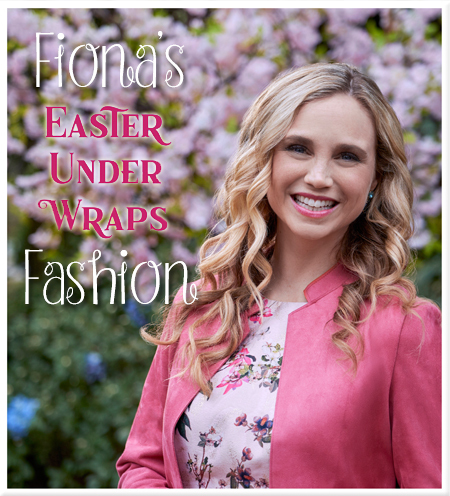 And, for a little extra preview on “Easter Under Wraps..” in case you missed Fiona Gubelmann’s interview on Home & Family – you can watch it on Hallmark’s web-site – here! Encores Easter Sunday at 11:30pm/10:30c. 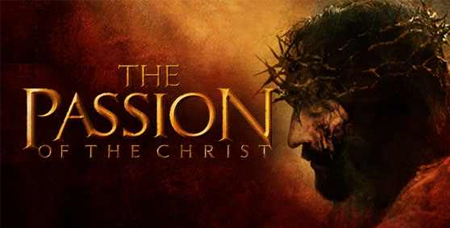 INSP will be showing the epic production, Jesus of Nazareth, from 1977, in 4 parts - on Easter Sunday, from 11am/10c. to 3pm/2c. 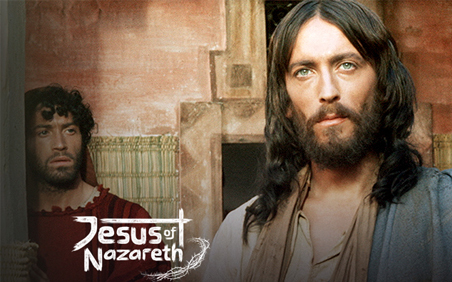 As INSP shares, the film Jesus of Nazareth "is a sensitive, loving and reverent portrait of Jesus Christ." 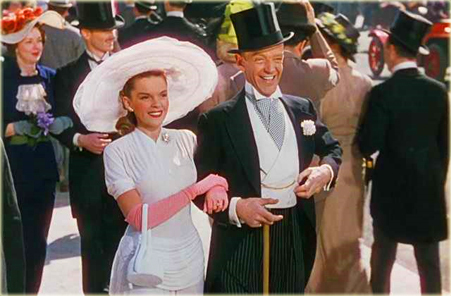 On this Easter Sunday, TCM will also have Classic Religious Themed Easter Movies and pull out your Easter bonnet and tap shoes for the "Easter Parade" with Judy Garland and Fred Astaire at 8pm/7c. 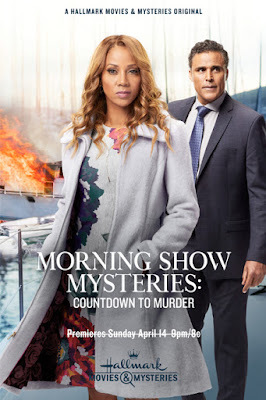 Wednesday April 24, 2019 at 5pm/4c. Unfortunately, ABC will once again, NOT be showing the Peanuts Gang in "It's the Easter Beagle, Charlie Brown". For those of us who love dear ole Charlie Brown, we'll have to pull out our DVDs again this year - or we can also watch via streaming - see here! 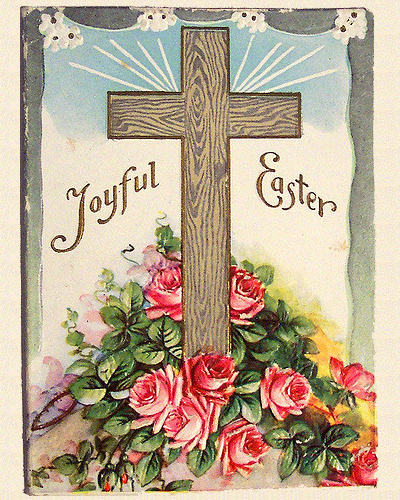 I pray we all take time this Easter - to enjoy family, Easter egg hunts, lovely spring colored dresses and suits (which I enjoy very much! ), but much more importantly, in our hearts, may we fully realize and remember on Easter Sunday morning, when the stone that sealed the tomb was rolled away, Jesus was resurrected! On that day, long ago, Jesus overcame death so that those of us who trust in Him could also overcome death and one day live with Him in Heaven for all eternity. May the joy of that promise fill us up to overflowing and flow out of us this Easter! 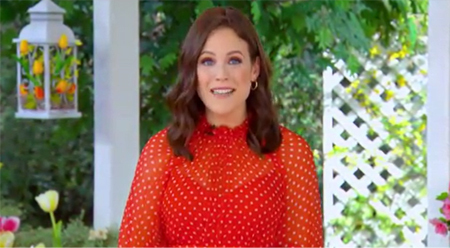 Storyline via Hallmark: Freelance photographer Sam grew up spending summers at her family’s vacation home on Cape Cod, where she and Mike, a local boy, became inseparable friends. The untimely death of Sam’s mother brought those summers to an end for Sam, who couldn’t bear the thought of returning. Thirteen years later, they meet again when she returns to Cape Cod for her father’s Christmas Eve wedding. Their feelings for one another are still strong but their stars may not align: Sam is close to landing a staff position at a Boston newspaper and Mike is on track for a new job in London. Re-watch "Christmas Bells are Ringing" again! Storyline via Hallmark: As Christmas approaches; a New York event planner is sent to a small town to organize a holiday festival. When she arrives, she finds a high-profile billionaire — who lacks holiday spirit — in the process of selling the charming estate she hoped to use as a venue. Before long, the unlikely pair begins falling for each other. But when complications arise, the couple parts ways and the billionaire moves forward with his plans to sell the estate. On the night before Christmas, the young event planner wishes for a Christmas miracle to save the estate and rekindle her holiday romance. 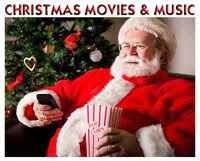 With Christmas movies airing twice a week - every week - on the Hallmark Channel and Hallmark Movies & Mysteries, it's truly a wonderful feeling - and something I know many of us look forward each week to seeing! And, this week... it's a nice time to re-watch (or see for the first time!) two movies that premiered in 2018! "Christmas at Pemberley Manor" was the FIRST All NEW Original Christmas Movie to premiere for the 2018 Christmas season in October on the Hallmark Channel AND "Christmas Bells are Ringing" was actually the very LAST All NEW Original Christmas Movie to premiere in December for the 2018 Christmas season on Hallmark Movies & Movies! Therefore, since "Christmas at Pemberley Manor" was the first, there was a lot more opportunities for viewers to catch an encore airing of this movie during the Christmas season! I found both films to be family friendly and very enjoyable in their own ways. 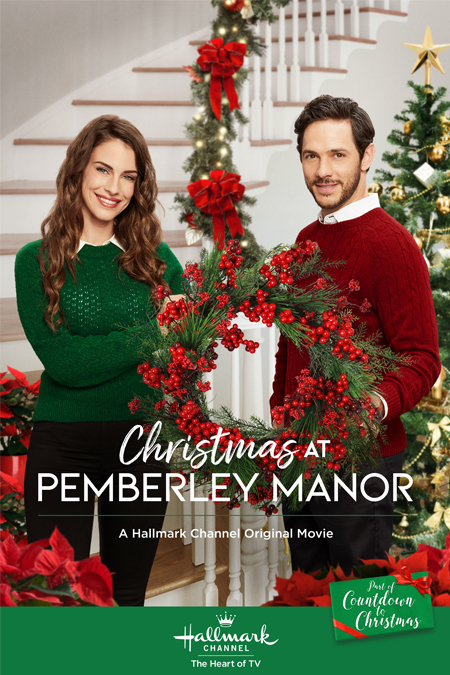 In "Christmas at Pemberley Manor," it was very nice to see a sweet, simple holiday story, and I loved hearing Jessica Lowndes ("Yes, I Do") sing. Plus, it was cute how they used the Jane Austen Pride & Prejudice theme. 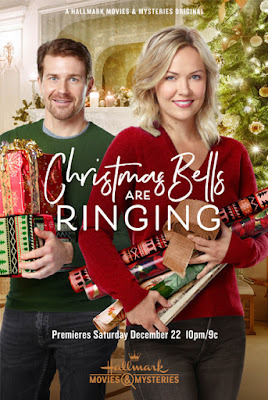 In "Christmas Bells are Ringing," I liked the dramatic, intensity of the story and watching Emilie Ullerup ("Chesapeake Shores") find her true passion - and possibly love too! Wishing You All the Joy of Christmas! 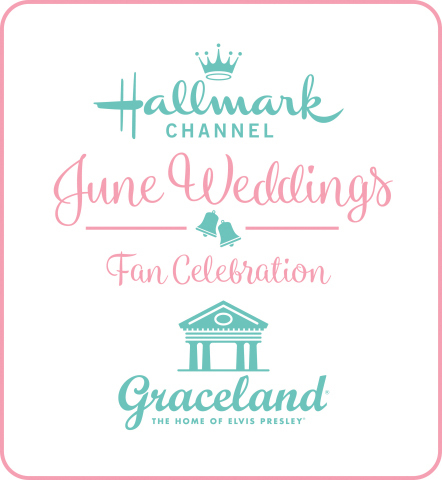 As temperatures around the country begin to rise and people yearn for the longer days ahead, viewers will enjoy an entire month of summer-inspired movies when Hallmark Channel premieres four all-new original movies in May. Isabella (Lilley) is the ambitious new owner of her family’s Oregon winery whose dream of becoming world-renowned takes a big step forward when she enters a prestigious wine competition in Paris. Upon arrival, Isabella meets her biggest competitor, Jacques (Jeannotte), from one of the world’s foremost winemaking families. Impressed by Isabella and her expertise in wine, a budding romance develops between them. However, as the results of the competition are announced, Isabella believes Jacques badmouthed her wine. Hurt, she returns home. When Jacques discovers what upset her, he seeks to win her back, even if it means leaving behind his beloved winery. Host of a New England web series, Abby (Walsh) is set to launch her own line of home products. All she needs is a few more authentically northeastern webisodes and the deal is done. But Abby’s roots are actually in Texas and through her mother’s (Humes) request she must return to her dad’s (Benson) ranch to help him. 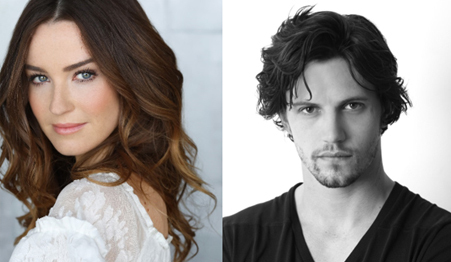 Surprised to find her former boyfriend Ryan (Parsons) is the ranch manager, Abby is soon swept up in their old chemistry. Torn between her Texas roots and her New England aspirations, Abby must decide where she belongs – with work in the northeast, or deep in the heart of Texas. Biology teacher Claire (Renee) is busy juggling her duties as bridesmaid to three friends, as well as teaching a summer enrichment class at her most favorite place in the world, Blue Island. Claire learns that the sailboat used to ferry to her students has been sold to a former Navy man, Captain Tom (McNally), with the stipulation that he continues to sail the class to the island. Claire’s life gets complicated when she learns her former boyfriend Jason works for the developer intent on building a resort on Blue Island. 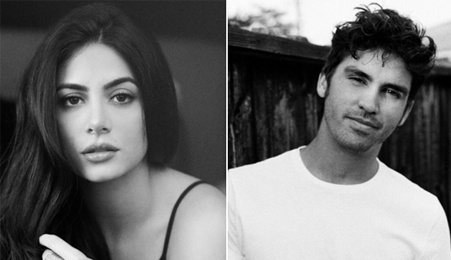 When successful dating app creator Alana (Toubia) hesitantly gets engaged, she returns to her hometown in Florida to deliver the news to her dad. Upon returning home, she crosses paths with her former flame, Kai (Maden), and finds herself falling in love with the fun and adventurous lifestyle tied to her community. As Alana and Kai work together to help her dad restore his declining property, Alana finds herself conflicted as to whether or not her current way of living makes her happier than the home and community that she always knew and loved. 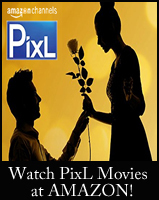 Beginning with 'Love Takes Flight,' the movies will be transitioning on the Hallmark Channel to a 9pm/8c. start time! With the days getting longer and brighter - it's probably a whole lot easier for people to come indoors as it gets dark and watch at that time, especially for those in the central time zone where the premieres begin an hour earlier! I agree with those who commented under the Love Takes Flight press release - here! I, too, wish the time could remain the same all year, but I know it works best for summertime - to have the movies premiere later. Please share your thoughts in comments below! 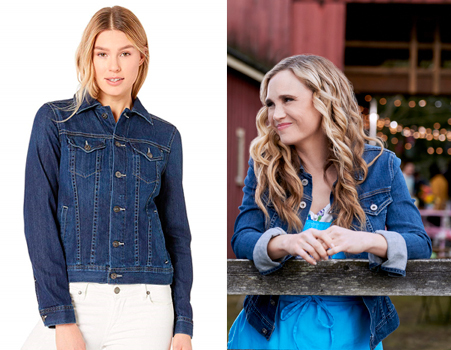 When we watch a Hallmark Channel "Spring Fever" movie- it's so refreshing to see the lighter, cheerier color scheme! Whether it be the setting of the movie, with breathtaking landscapes of blossoming flowers... or what the actors and actresses are wearing in each scene, all of these extra details are important to help tell the story in the appropriate season - from fall, winter, to Spring! Disclosure: I am an affiliate with Macy's, Amazon, etc... When you click on links to these merchants on this site and make a purchase, this may result in this site earning a commission. Thank you! 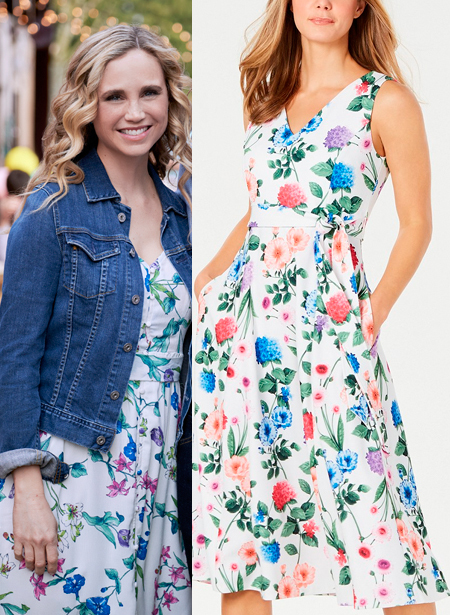 Immediately when I saw the press images for "Easter Under Wraps," I just knew I had to know what Fiona Gubelmann was wearing in this movie. 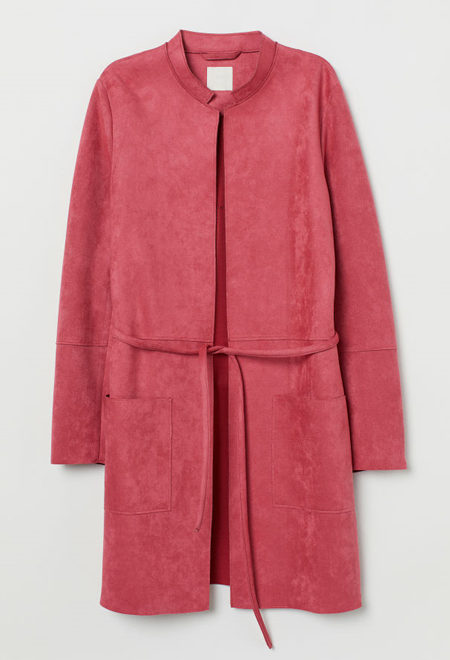 The first two things that initially caught my eye - were the stunning, bright pink coat and floral dress! 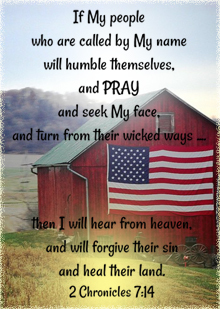 And, I am thrilled to share with you... where you can find them both and more - from the movie! It's the Perfect, Sweet in Pink - Easter Dress! that is the perfect shade of almost pink! is the perfect every day dress for Spring! I, unfortunately, could not locate Fiona's exact dress here; however, this dress by Calvin Klein is a very close match! 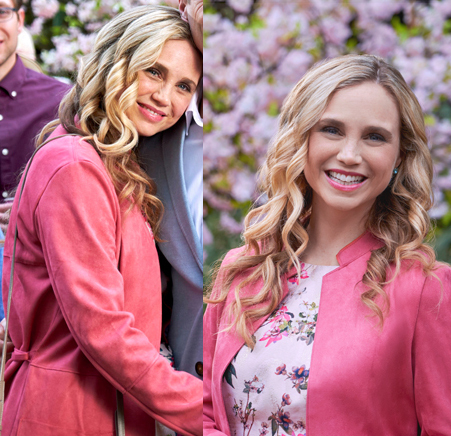 I hope you enjoyed this fun look at Fiona Gubelmann's fashion from her Spring Fever movie, "Easter Under Wraps," which is about yummy, decorative Easter candy - and it's premiering Easter weekend, Saturday, April 20th, on the Hallmark Channel! For more information - on any of Fiona's clothes mentioned in this post - be sure to click on the links above! Click Here for More Easter Basket Goodies! Currently in its sixth season, the frontier drama “When Calls the Heart’s” ratings momentum continues, with this season’s debut episode ranking as the highest-rated premiere in the series’ history. The program ranked as the #2 original scripted series of the week, only behind AMC’s “The Walking Dead”, and marks the #3 original scripted series on cable in 2019-to-date. On a Live +3 basis, the program delivered a 2.9 Household rating, 3.1 million Total Viewers, and 449,000 Women 25-54. The episode reached over 3.6 million unduplicated total viewers. 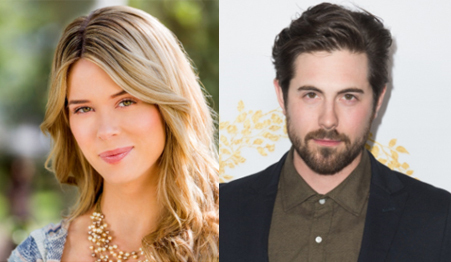 This is certainly great news for all Hearties who love this series! There will be many more stories to come - with the characters we love in Hope Valley! Reminder: "When Calls the Heart" Season 6 returns with two episodes - May 5th and May 6th!